Categories: Renewable Energy, Solar Energy, Uncategorized | Tags: earth-friendly architecture, Eskom, photo voltaic, solar energy, solar panels | Permalink. What is the Cost of Going Solar? Government mandated power outages for South Africans are to be part of our lives for many years to come. As we complain and our economy suffers one might think that many people and organisations of reasonable means are installing solar systems. This is not so. Barriers to entry are certainly perceived high cost, but also general lack of knowledge of how these systems work. 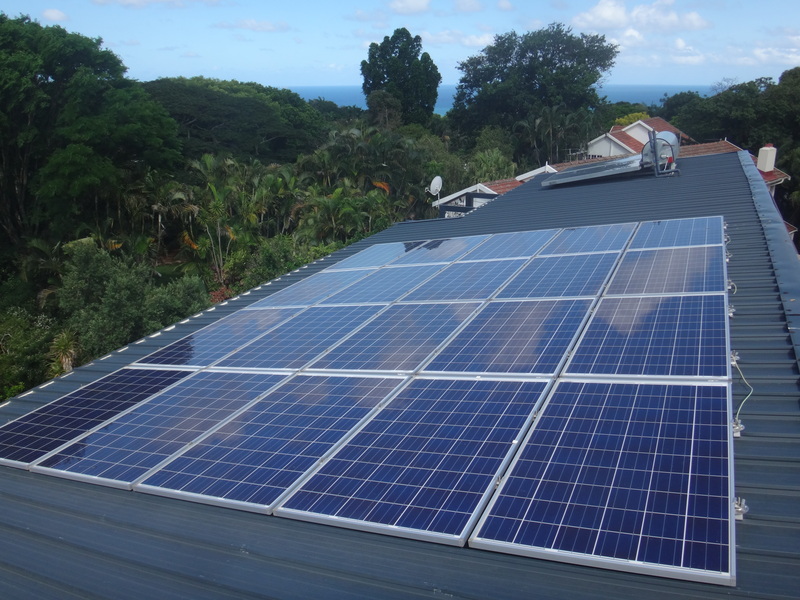 One of the frequently asked questions about The Gorgeous Green House is ‘how much did your solar system cost’? Do you know what increases are on the cards going forward? Have you drawn up a spreadsheet to really get to grips with what you will be spending over the next few years? We did this exercise, and based on our rather shocking, (but not unusual) $200.00 (aprox. R2000.00) per month electricity bill, we projected our forward costs based on the 12.2% increase that we experienced this year and the 25% increase that ESKOM are asking for. As we have installed, these costs are now savings. Like us, you may be rather shocked at how much you will be spending on electricity over the next few years. The reality is, however, that South African’s have benefited from relatively low rates compared to the rest of the world and on that score we have little to complain about. 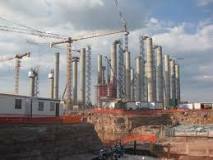 Medupi Coal Station. As unattractive as it is unhealthy. Our government’s solution to our energy crises is the building of even more filthy, polluting coal powered stations and extremely controversial nuclear stations. The science shows us that with some political will and sensible interventions we can avoid these options with healthy, earth affirming renewable energy systems. Starting at home seems like a good place to begin. If you do you sums as above the next step would be to consult a reputable solar provider for a quote. You may be very surprised at the ROI time frame. Ours will be somewhere between 4 and 5 years. If your quote to go ‘off grid’ is not possible, why not start smaller. You can add to and expand your system very easily as your means allow. In the meantime at least benefit from avoiding the incessant power failures! We plan to be in our house for many years so relatively soon we will be scoring financially and using electricity in a way that serves our concern for the health of the planet! In addition, we continue to lobby our authorities to implement systems to pay small scale electricity generators for their excess electricity as this will offer further incentive to others to get on board. Watch this space! Categories: Renewable Energy, Solar Energy, Uncategorized | Tags: earth-friendly architecture, environmental architecture, Eskom, photo voltaic, solar energy, solar panels | Permalink. 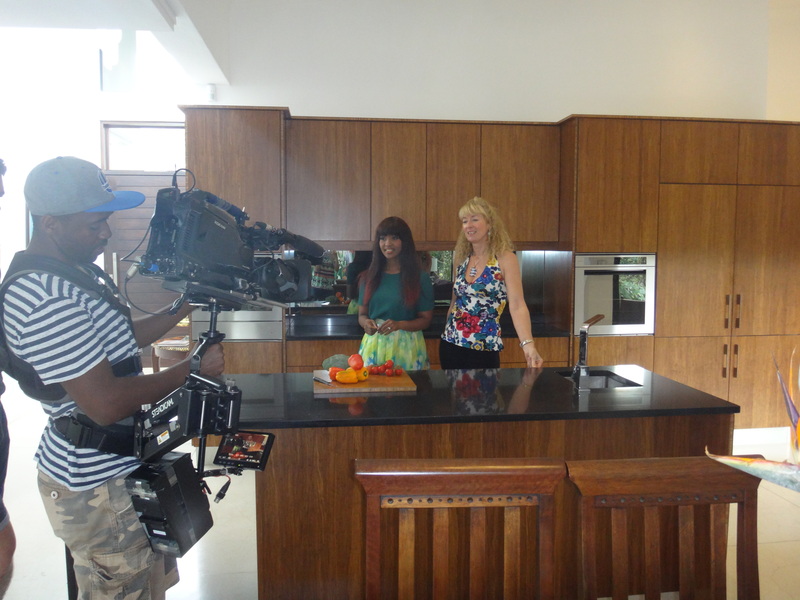 The Gorgeous Green House will be making her TV debut this Thursday 16 July via the very glamorous No.1 South African magazine programme Top Billing. 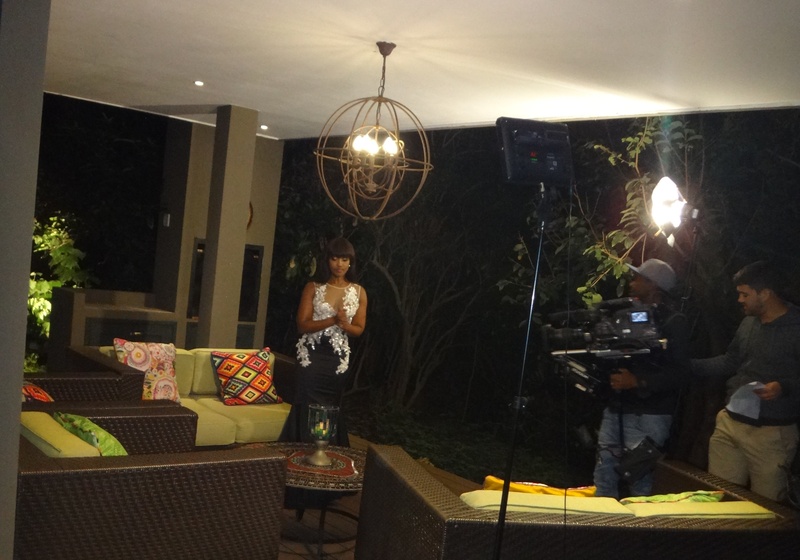 ( 07:30 p.m. on SABC 3). 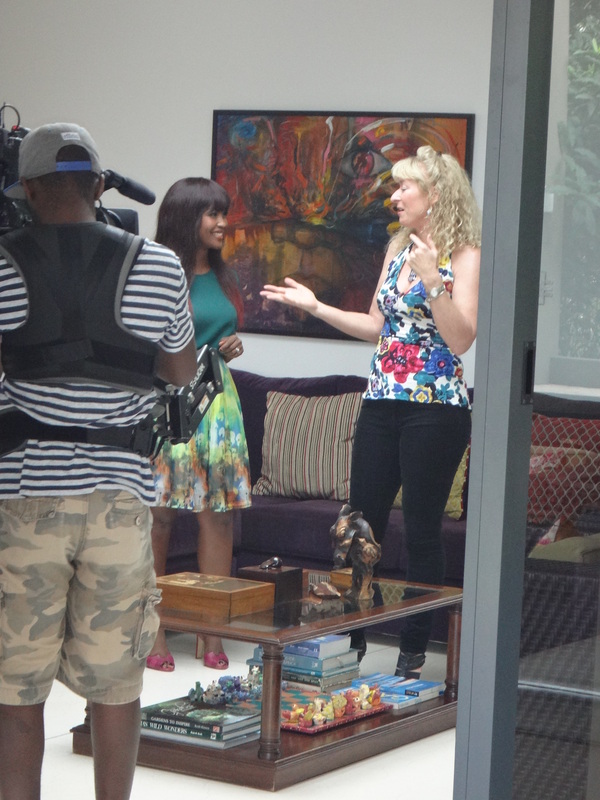 For those outside of SA there will be a shorter segment on You Tube – will advise when I know. 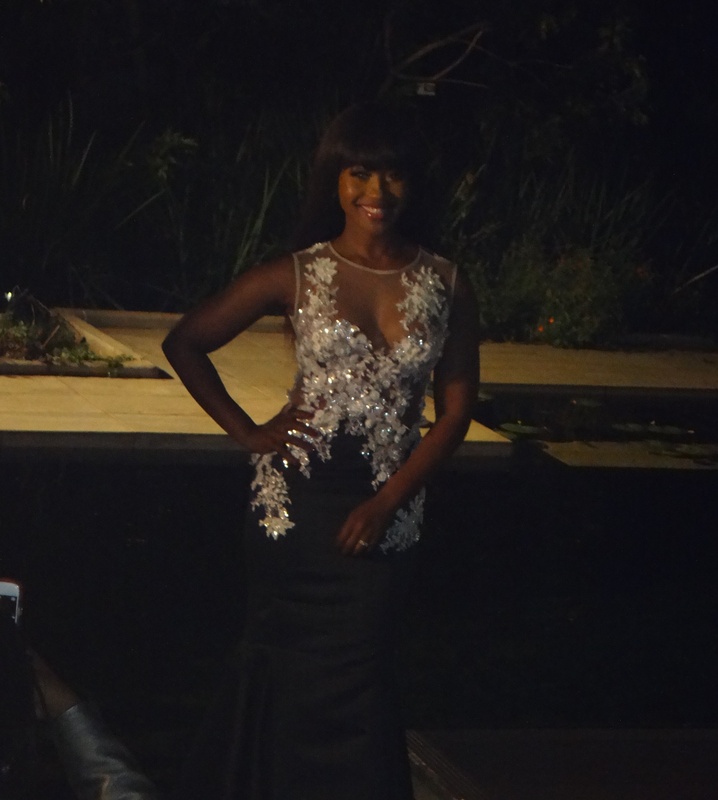 Good evening and a very warm welcome to Top Billing. 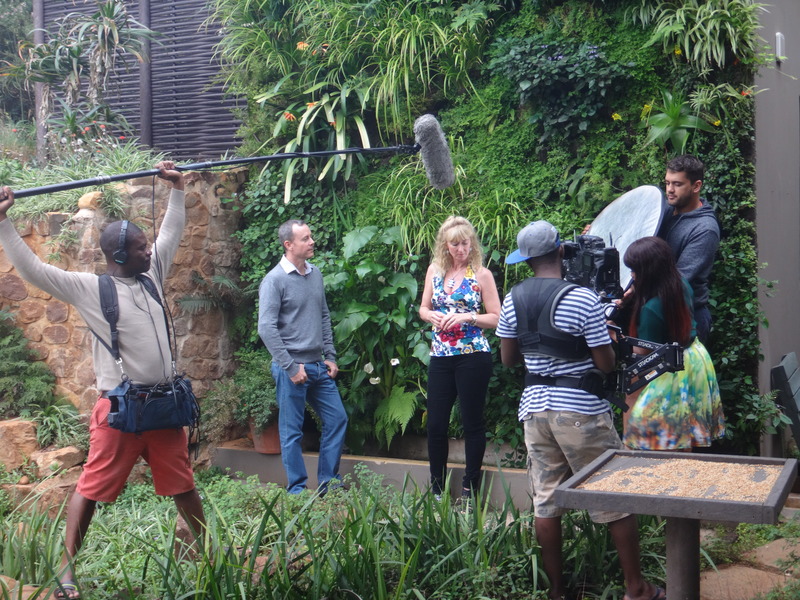 Tonight we come to you from the Gorgeous Green house in Durban, the culmination of one couple’s desire to ‘live more gently on the planet’. It’s quite fitting as this Saturday is Mandela Day, a day to remember that everyone can help to make the world a better place. Interviewd In the lounge: “no we didn’t get in an interior designer, the garden is the decoration. 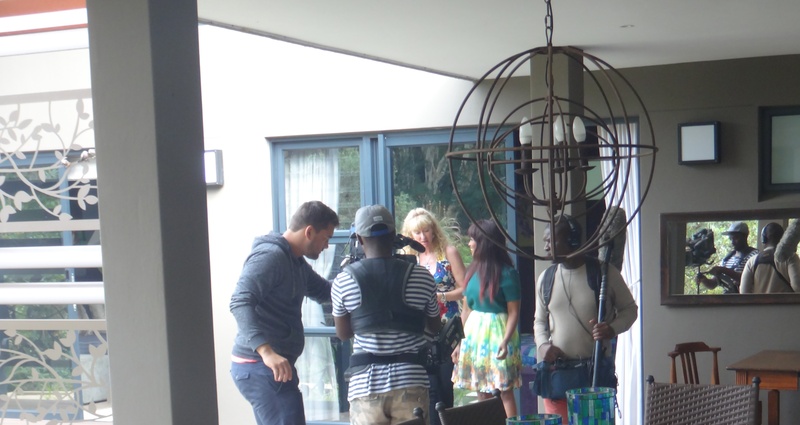 Walking, talking and shooting, eeks! 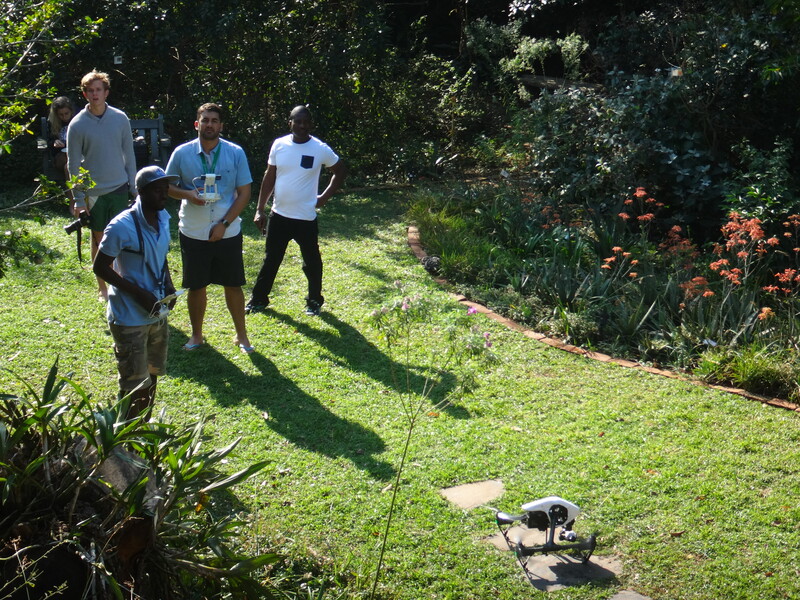 Day 3: The director and team return with a drone to take aerial images! 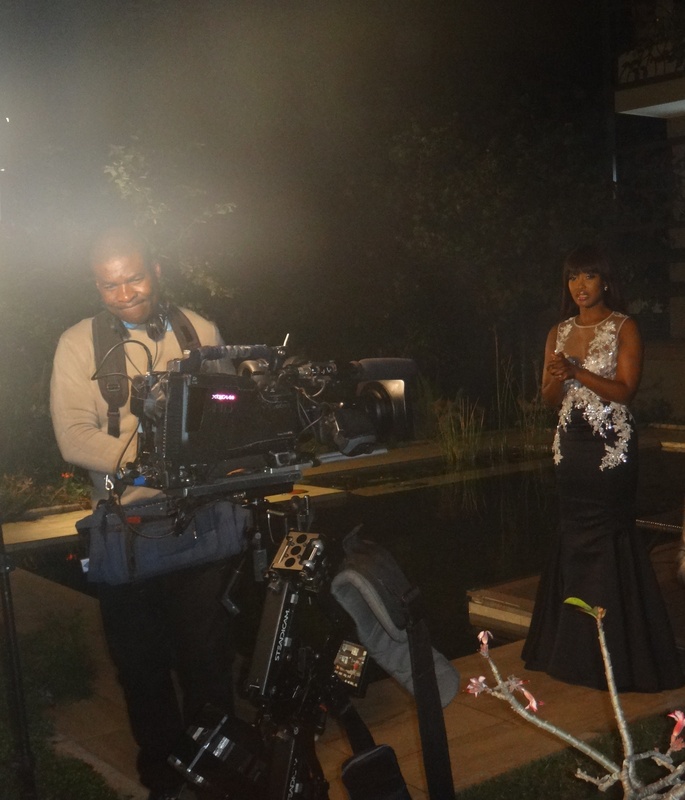 Thanks Top Billing for this wonderful opportunity to get our “living green’ message out to such a wide and diverse audience. 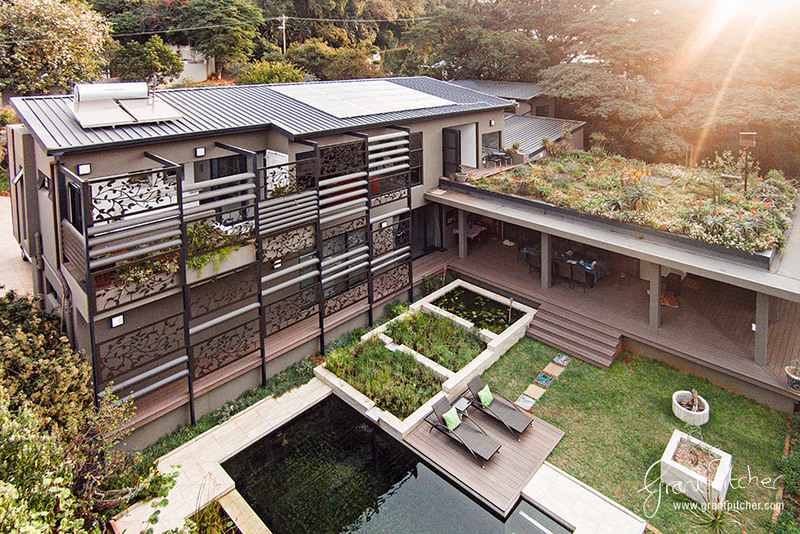 Categories: Green Design, Re-cycling, Re-purposing, Re-using, Recycling, Renewable Energy, Uncategorized, Vertical Garden, Water Heating, Water Management | Tags: bioclimatic design, earth-friendly architecture, eco-design, eco-friendly architecture, Media, Top BIlling | Permalink. 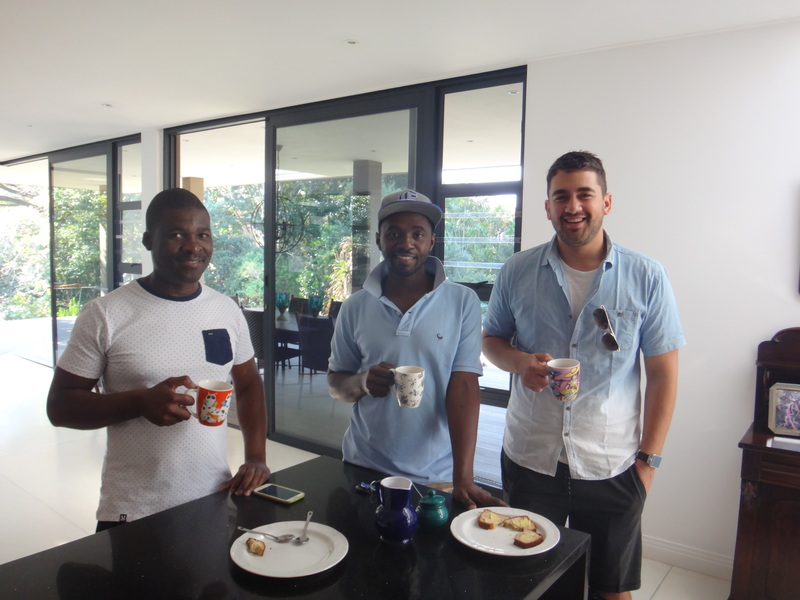 Our architects Sagnelli Associate Architects are entering our project into the AfriSam-SAIA Award for Sustainable Architecture. The exceptionally talented Grant Pitcher has been commissioned to take the photos for entry. My favourite is this one. 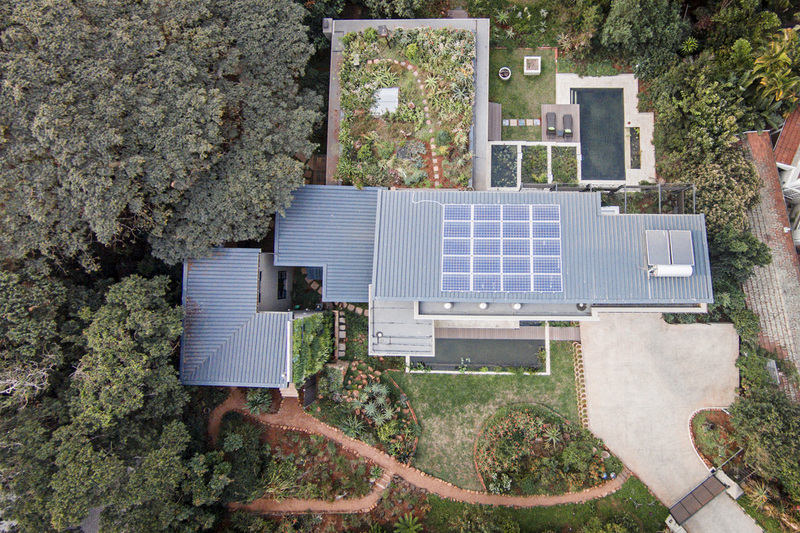 It is a birds eye view shows off the solar technology, roof garden and eco-pool from a vantage point not seen before. Good luck Chen Sagnelli and team for the competition! Categories: Indigenous gardening, Natural Pool, Renewable Energy, Solar Energy, Uncategorized | Tags: bioclimatic design, earth-friendly architecture, eco-design, eco-friendly architecture, environmental architecture, organic gardening, photography, roof garden, solar energy, solar panels | Permalink. Join the Rooftop Revolution, it’s the Solar Solution! We’ve got 24 hours for South Africa to Go Solar! In the midst of a crushing electricity crisis, Greenpeace considers it a right of every South African to produce their own power, and to feed extra electricity into the grid and get paid for it as a long-term energy solution. This means being permitted to put solar panels onto rooftops and connecting to a decentralized energy system, where energy can be generated near the place where it is needed. This would have a double impact of increasing energy efficiency, while allowing electricity production to finally be in the control of the people who need it. 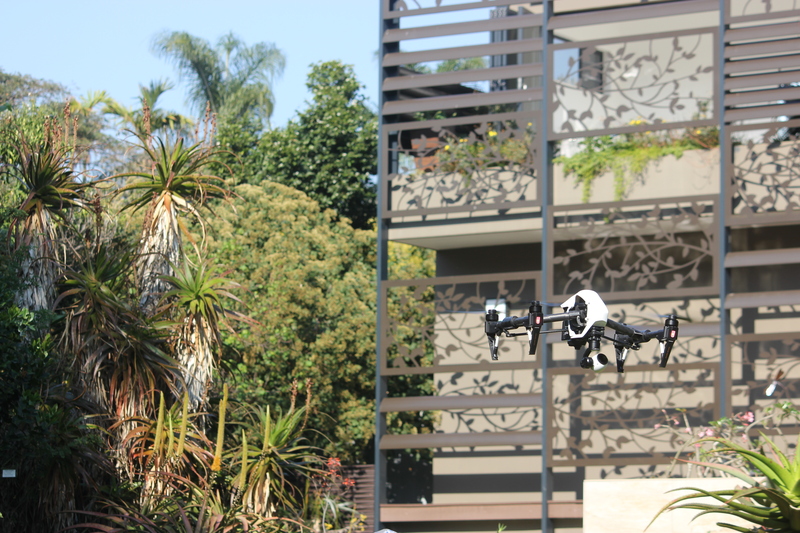 As we have seen in examples in more than 50 countries, a rooftop revolution is not only feasible, it is ready to go. So this is great news! What is holding this back? Paperwork, paperwork and more paperwork, with barriers imposed by the South African government. Greenpeace is urging government to make the process feasible for South Africans. IN THE NEXT 24 HOURS we are sending a formal submission to NERSA (the National Energy Regulator of South Africa), and with your help we can put the pressure on NERSA to simplify the regulations governing installing solar panels and feeding extra electricity into the grid. It’s pretty technical, but essentially we believe that if you sign this petition to NERSA then there is a clear indication of support for simplifying the regulations, and focusing on helping people install solar panels, rather than burying them in paperwork. Click Here to Join the Rooftop Revolution, it’s the Solar Solution!. Categories: Green Building, Renewable Energy, The Green Economy | Tags: carbon emissions, Eskom, photo voltaic, solar energy, solar panels | Permalink. South Africa’s current energy crises resulting in up to 6 hours of blackouts (the term load shedding is misleading) on any given day has everyone’s attention. In this post I would like to focus on one opportunity that is not yet getting traction in our country but has been fairly commonplace in developed countries around the world for several decades. Net Metering is a fairly simple idea: it is generally an arrangement with a service provider whereby excess electricity generated by a customer who has installed their own solar/wind/other electricity generating technology is used to offset electric energy provided by the electric utility to the electric consumer during the applicable billing period. MECHANISMS should be developed to allow the integration of electricity generation by solar panels on residential, commercial and industrial buildings into the power grid. Nersa’s document comes during what it says has been a great increase over the past year in the number of private rooftop photovoltaic (solar) panels installed on residential and commercial/ industrial premises at the cost of the owners. These are connected to the grid and could feed surplus power back into it. What has eThekwini/NERSA/ESKOM been doing in the last few years to address the structural issues that are preventing the implementation of our PPA? Why is it that other municipalities have pilot projects running and NERSA are not inhibiting them? What is eThekwini/NERSA/ESKOM doing to learn from these models and other successful projects around the world? To what extent is eThekwini prioritising this opportunity in light of the energy crises? What are you time lines? What is your comment in terms of the NERSA document (quote above). Is it possible your reluctance to move these projects forward is because it poses a threat to your revenues? Unfortunately, several e-mails and messages left for Leshan have elicited no response. Categories: Green Building, Renewable Energy, Solar Energy, Uncategorized | Tags: photo voltaic, solar energy, solar panels | Permalink.